There is so much to see and do while staying in Khao Lak! This nature lover’s paradise offers numerous adventures both on land and at sea with stunning islands and adventurous national parks are only a short trip away. 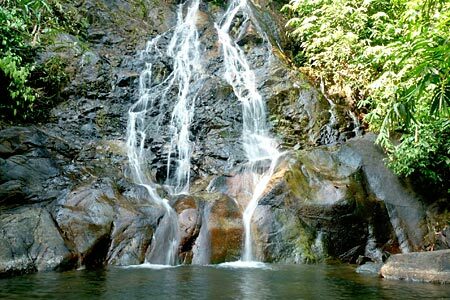 Khao Lak is home to several national parks where nature and wildlife is preserved for future generations to enjoy. Trek in the jungle, try white water rafting or take a trip to the local Takua Pa Old Town and markets and soak up the rich local culture of Southern Thailand. 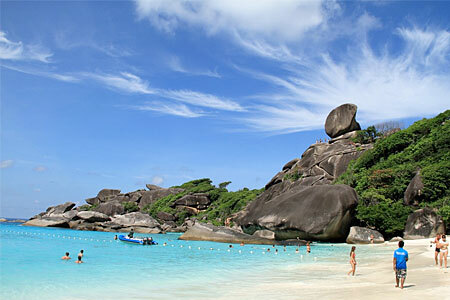 Khao Lak is the main port for boat trips to the Similan Islands. This spectacular archipelago in the Andaman Sea features nine islands characterized by huge granite rock formations, powder soft white sand and amazing hues of clear azure waters. This is a popular destination for day trip sightseeing and snorkeling trips as well as diving, and live aboard trips. A little further out to sea, you can discover Tachai Island and Surin Islands that are just as stunning and much less crowded. 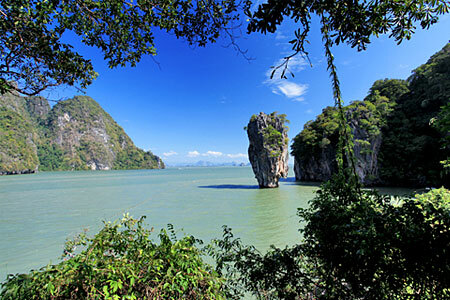 A trip to Khao Lak is not complete without experiencing the mystical Phang Nga Bay. Take a traditional long tail boat, canoe or speedboat and explore the mangrove forests and emerald green waters dotted with jutting limestone cliffs. These vertical rock formations hide spectacular lagoons and coves. Explore the 007 film location known as James Bond Island and wander through a sea gypsy village built entirely on stilts. 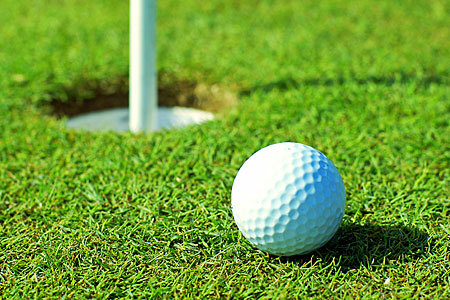 You don’t need to be a golfing pro to appreciate a visit to one of Khao Lak’s stunning golf courses. The Tublamu Navy Golf Course stretches down to the beachfront offering amazing sea views while the newer Katathong Golf Course is surrounded on all sides by majestic mountains with rivers and lakes throughout the lush green course. Over Sarasin’s Bridge in Phuket there are yet more courses to enjoy, such as Blue Canyon Golf Courses in Mai Khao and Mission Hills Phuket Golf Course which is also in the north of Phuket. Encompassing lush granite mountains, evergreen forests and hidden beaches, Khao Lak Lam Ru National Park is brimming with wildlife and a wide variety of flora and fauna. Visitors can access the park for a fee of 200THB and hike through the jungle trails to discover the gorgeous deserted beaches and a number of waterfalls. A wonderful adventure for nature lover’s. 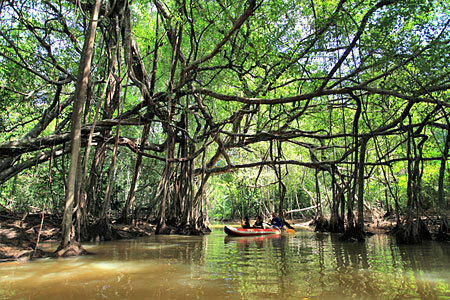 Explore an amazing Banyan Tree jungle close to the Takua Pa River on a guided canoe tour from Little Amazon. 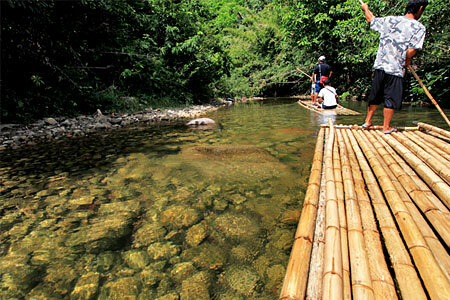 The tour takes around one hour and travels through some 12 acres of jungle amongst trees that are over 100 years old. Get up close with nature and with a bit of luck you will see snakes, exotic birds, fruits, orchids, fish and crabs. Make a splash in the tropical rainforests of Phang Nga with a day of white water rafting and elephant trekking. The rivers are at their fullest during the green season making this activity even more exciting, but this fun day can be enjoyed all year round. A guided elephant trek lets you relax and take in the awesome views of the jungle, and depending on the tour you take, you can also stop off and enjoy a swim at a waterfall. 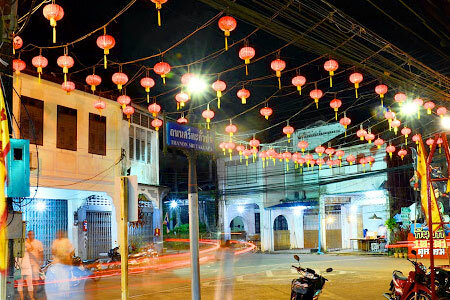 Takuapa district in Phang Nga was booming during the tin mining era around a century ago. A mark of its past wealth can be seen in the historic quarter of the town, which is about 7km from the main town. This sleepy part of Takuapa is often overlooked by foreign tourists, yet offers a rewarding experience to see the old Sino-Portuguese shop houses, Chinese shrines and tea houses. Sunday is a highlight when the local street market opens to sell local food and handicrafts. A great way to experience the local culture is to take a stroll around the local markets. 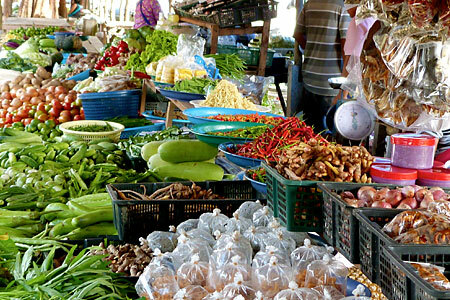 Bang Niang, located around 3km from the center of Khao Lak, has a large open air market three times a week. The market is a big draw from both locals and tourists as vendors sell all kinds of products on Monday, Wednesday and Saturday afternoons. Try fresh local fruits and delicacies and pick up a few bargain souvenirs from gifts to clothing. Or simply stroll around and enjoy the ambiance of local life in Khao Lak.